The event was created, directed and performed by renowned storyteller Dr Vayu Naidu. 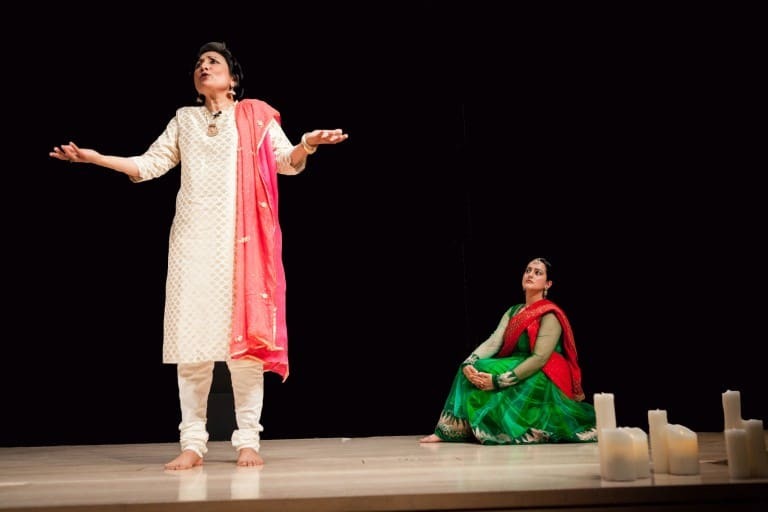 The performance brought the Sufi romance to life on stage with captivating live storytelling by Dr Vayu Naidu and mesmerising Kathak dance by Sonia Sabri. They were accompanied by wonderful music from Melinda Maxwell of the Birmingham Contemporary Music Group on oboe with Sarvar Sabri on tabla and pakhawaj.